We promise to always care for the land in a manner consistent with our knowledge that productive farm land is a precious, limited resource. As a multigenerational family- and employee-owned farm, sustainability is simply part of what we do. We have farmed some of our land for four generations and 70 years. Sustainability is ingrained into our way of life. 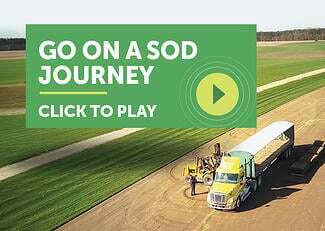 None of our sod or seed products are genetically modified organisms (GMO). We practice integrated pest management, meaning we only apply pesticides when absolutely necessary to produce the weed-, insect-, and disease-free sod and seed that is expected by our customers and required by state regulations. We use organic fertilizer whenever possible. We create our own OMRI Listed® compost to replenish and nurture our soil. We understand we must be good stewards of natural resources used to produce our livelihood. We will strive to conserve water and believe that turfgrasses are one of nature’s best filters. Clean water and air are absolutely necessary for human life and are blessings given by our Creator. We encourage and seek out innovative and sustainable methods, technologies, and products to get the job done; always looking for ways to reduce our impact on the environment. This also applies to the products we choose to produce for our customers. We believe in paying our full-time employees a living wage which includes health care, paid vacation, and retirement benefits. We foster a culture of community, respect, and trust. Our employees respect and nurture the land along with us. We give back to our local community. 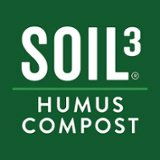 In 2017 we gave away over $50,000 in sod and Soil3 compost to local organizations. In keeping with these things, it is our pledge to care for the land and the environment in such a manner that customers and future generations will benefit.